The Silent People is an amazing but a bit bizarre looking art work on a field on Highway 5 about 25 km. north of the town of Suomussalmi, Finland. 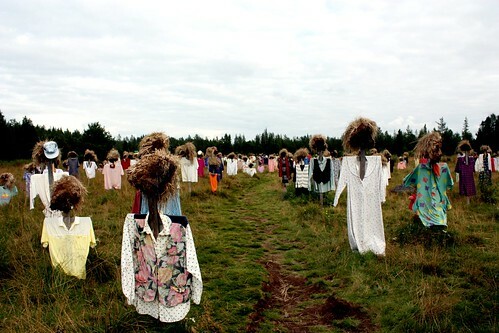 The work consists of about 1200 scarecrow like figures wearing colourful clothes with their heads made of peat. 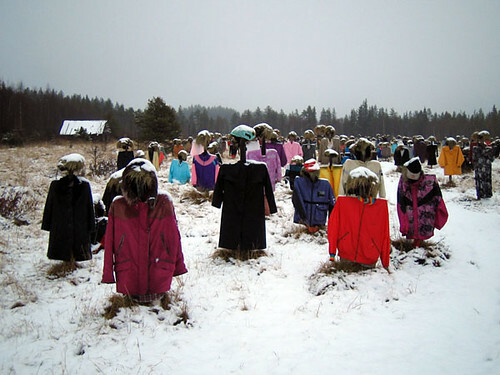 These amazing scarecrows are creation of artist Reijo Kela and these were first displayed in 1988 in a field in Lassila, a neighbourhood of Helsinki. Later in 1994 these were on display in the Market Place of Helsinki's Senate Square, then on the banks of the river Jalonuoma, Ämmänsaari and finally moved to this location in 1994 itself. 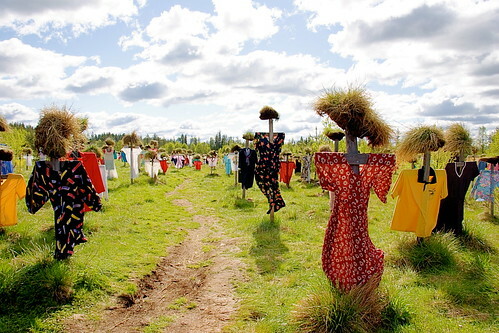 The clothes of these scarecrows are changed twice a year using the clothes collected from donation. Reportedly some visitors to the location occasionally exchange their dresses with those of the scare crow figures. No one knows the artist's idea behind the Silent People. The artists has not given any explanation and refuses to give any answer. He feels that the viewer should form their own conclusion. Some view it as a state of psychological withdrawal some as forgotten people. The area was a scene bloody battle during the Winter War (1939-40) between the Finns and Soviet Russia. 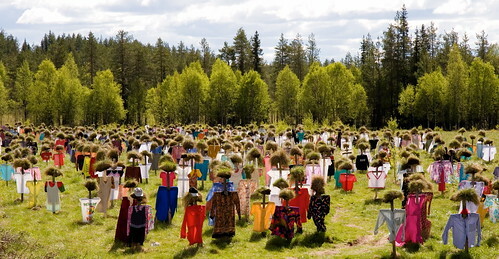 Stripped of the heads and clothes more than 1000 wooden crosses would be seen in the field. Many therefore feels these as a tribute to those who lost their lives in this tragic war.